There are many types of sleep patterns, sleep problems and different daytime behavior and sleepiness. Our biological clock has been made to synchronize with the day and night to maintain these different patterns of sleep and daylight behavior. When any change is observed in the synchronization of its mechanism it gets afflicted with the sleep disorder commonly known as circadian rhythm sleep phase disorder. Survival of the fittest concept has forced people to work more and often depreciate their sleep timing. Due to this the sleep habits have changed and it has resulted in irregular sleep-wake pattern, subjective poor sleep and more people are getting emotionally upset or becoming victim of depression. Circadian rhythm sleep disorder is different with different people. There are interindividual differences of sleep quality and quantity. Circadian types can vary with different sleep-wake patterns and can also be different performance wise. Circadian rhythm disorders are mainly of two different types. 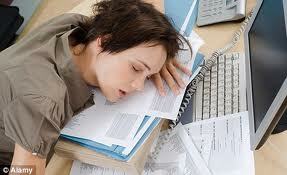 Transient type includes jet-lag, shift work sleep disorder, health problem or illness and social lifestyle. While some are chronic this includes three most common types that are delayed sleep phase syndrome, advanced sleep phase syndrome and irregular sleep wake cycle. 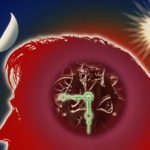 What Does Circadian Clock Do? Circadian clock does not allow sleepiness to rule over the body. It works as a mechanism based on a cycle that regulates the body’s sleepiness and wakefulness. Our 24 hour cycle functions with stimulations formed by brain wave activities, production of hormones, cell regeneration and different biological activities of the body. Natural light also plays a significant part in controlling the sleep wake cycle. 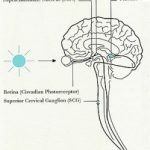 Optic nerves stimulate the natural light and transmits messages to the brain which triggers the body’s circadian rhythm, this how we are synchronized with universe’s 24-hour cycle. When the person gets out of phase with day and light it tends to create imbalances in the body’s neurotransmitters thus making you target of circadian rhythm disorder. Why Your Biological Clock Does Gets Altered? Our biological clockcan be altered because of the following reasons. These can also be some of the sources that provoke circadian rhythm sleep phase disorder in our body. When a person become sensitive to light and dark cues often known as time givers. This is one of the most common causes for circadian rhythm disorder. Disrupted function of the internal biological pacemaker. It may couple the mechanism of sleep-wake cycle with the temperature cycle. Lack of natural light, excessive sound and irregular room temperature which cause disturbances in sleep can cause irregular sleep wake pattern and hence affecting the circadian rhythm. 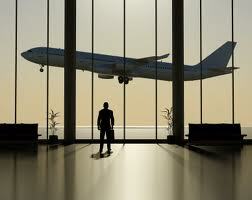 Travel across different time zones can cause jet-lag. Neurological disorders can also be responsible for the malfunctioning of the biological clock. Shift work and different lifestyle of people often make them prone to disrupted sleep. These are the most common causes that cause circadian rhythm disorder but can depend from person to person. Circadian rhythm is treated on the basis of different sleep disorders it manifests. Bright light therapy, melatonin tablets and Chronotherapy are some of the most common treatments that are available to provide a solution to this problem. Sometimes combination of these therapies is done to provide an effective and efficient solution. It is very essential that you maintain a proper balance between your works and sleep schedule so that you do not suffer from any of these sleeping disorders.